Discussion in 'Reviews' started by Nakadnu, Jan 25, 2016. Emberlit makes some very cool looking striker designs. So when the wife was placing an order on Amazon I had her order one for me. It came with a large piece of "flint". I got a few sparks off the supplied flint but even more rock chips. So I got out a piece of petrified wood that I have used with good results on my other strikers. I dare say the results were disappointing. Where I would normally get up to a 1/2 dozen or more good sparks from a file striker or one made from our BCUSA vendors the Emberlit only produced 3 at the very most and on some strikes zero sparks. 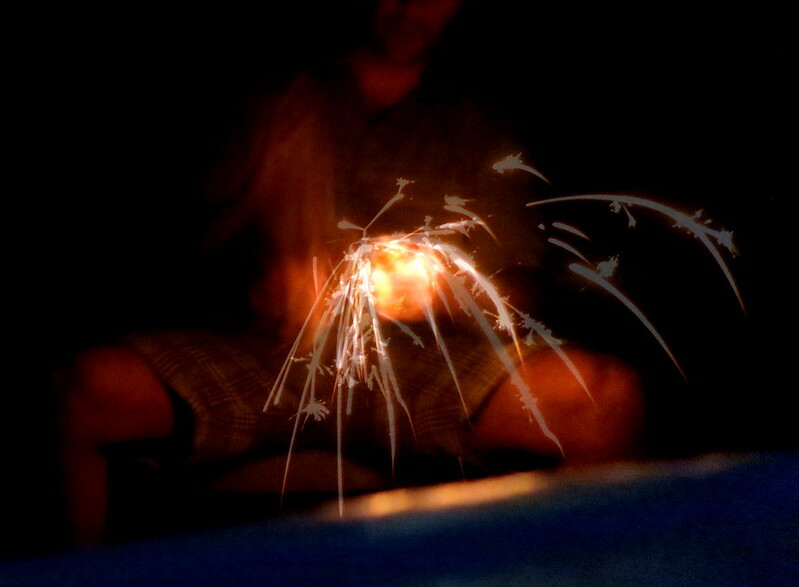 Those sparks that it did produce were short lived. It will work, just not very good. At $18+ I would recommend you stay away from them unless you just want a meager striker that looks cool. Or who knows maybe I got a lemon. I will contact the vendor and if I receive any feedback I will update here. Luchtaine, Primordial and MrFixIt like this. Just a reminder that there is no good reason to NOT get a striker from one of the vendors here. I have a broken off piece of an old Simonds file that works great. new striker and will make sure to test it out before we send it to you. I sent them my address and will keep this thread updated. well you know how they say: when you get a lemon...you make lemonade !!! Must have been a big batch because every time I look into these the reviews are always the same. Edit: Which is a shame because I really like some of those designs. At least the customer service response was good. I have Wolf Creek, an MP, Skab Leatherworks and some file strikers made by tat2dbushwhacker and an OLJ. All very good sparkers. My Turley axehead is a museum piece in mint condition. Very good makers on this forum. Think it's time to upgrade to WCF striker. That is damn impressive! Ft. Worth in the great state of TEXAS! I swear Lisa makes those things out of really hard home brew ferro material. They are awesome! I think the problem is with his heat treatment. I am no smith but his method seems as if it would produce inconsitant results to say the least. On a side note I have an Emberlit stove and like it. WCF or MP knives is how I roll. Unusual to see a relatively primitive device burned out with a laser . I am still using a piece of broken civil war sword after 40 years . Can't go wrong with a WCF, or MP, I have a few of Lisa's and they all throw mad sparks. I have a few others from makers here and all throw good sparks. Waiting on a new one from Skab, my bet is, throws sick sparks. WCF Colonial striker igniting an Emberlit stove. The finish turns black but you can clean it up if you like. Clean up a striker? The nastier the better. I bought a few Emberlit strikers myself and I believe they were part of the same 'batch' as my sparking results were identical. Keyser Söze and DavidJAFO like this. FAO @HannahT I was gifted an emberlit trout striker, it does shew sparks but I affixed it to my EDC kit bag as a zipper pull. Nice...I got the owl for me, and my spouse wanted the jumping (fire?) fox. My wife collects fox stuff so it could have been made out of clay and she would have been just as happy. The owl will make a dandy zipper pull. Nice...I got the owl for me and my spouse wanted the jumping (fire?) fox. My wife collects fox stuff so it could have been made out of clay and she would have been just as happy. The owl will make a dandy zipper pull. I'm glad you said that, as both the penny nails striker you gifted stays as is, but the other C striker is known as my @Stone striker (pun intended) sad I know.. The steels I got from you are first rate and will stay where they are...in fire kits. I now realize that I never brought everyone up to speed on the customer service. Shortly after my email to their customer service I received a brand new striker free of charge. It sparks just as badly as the original. It would be interesting to hear if they have improved lately as this thread is over 2 years old. Stone and DavidJAFO like this. I did notice they have a video on their site about how to use their strikers...I didn't watch it so maybe I'm not sparking them in a manner to provide the most efficient sparks. My Emberlit striker just plain doesn't work as well as the strikers from the BCUSA vendors. I have a piece of a file that was dug up at work. The teeth were rusted away and the whole thing was pitted. I shined it up a bit with a sander and it throws better sparks. Stone and Nakadnu like this. wcf is a great source; have a bunch of theirs. Learned that two things really matter; the steel and the appropriate heat treat. I won't send a steel out that I am not pleased with myself. You have to have good quality rock and steel combination to make it work. I use the best I know that works and try new steels on it.